WHO SHOULD ATTEND Orthopedic surgeons with experience in knee replacement surgery. The profile of patients with knee osteoarthritis has progressively changed.Initially associated with older patients with tricompartmental knee osteoarthritis, it now includes younger and more active patients with monocompartmental or bicompartmental diseases, often the consequence of sporting injuries, fractures or prolonged overuse. Consequently, there is an increasing demand for a minimally invasive surgery that could permit these young patients to return to their previous everyday activities. 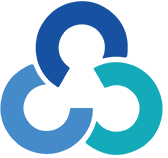 The course will focus on medial and lateral unicompartimental knee replacement, patellofemoral replacement and their combination in treating bicompartmental osteoarthritis: bi-unicompartmental knee replacement and unicompartimental + patellofemoral replacement. Another topic explained will be the combination of unicompartimental knee replacement and anterior cruciate ligament reconstruction in the treatment of knees with unicompartimental disease and anterior cruciate ligament deficiency. 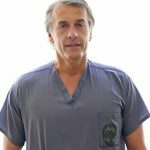 Orthopedic Surgeon, Director of the Joint Replacement Department, IRCCS Istituto Ortopedico Galeazzi Dr. Romagnoli has over 30 years of training and experience in his field. To date he has performed more than 20,000 hip and knee replacements and has designed several partial or total knee prosthesis and hip prosthesis, along with the publication of over 100 national and international journals and books. 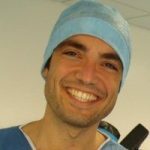 Orthopedic Surgeon, Joint Replacement Department, IRCCS Istituto Ortopedico Galeazzi Dr. Marullo had a number of years of experience within orthopedics and trauma before his current position in orthopedic surgery. As well as publishing a several specialist articles, he also spent time working as a volunteer doctor in Cameroun.